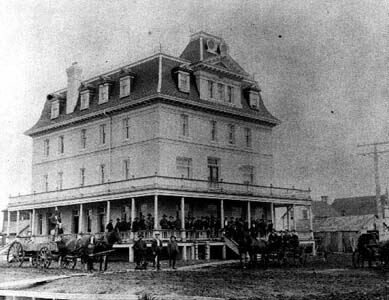 Hotel Pierre Parenteau, St. Jean Baptiste, circa 1910. Archives of Manitoba, Still Images Section. Item Number 1. Negative 3876.